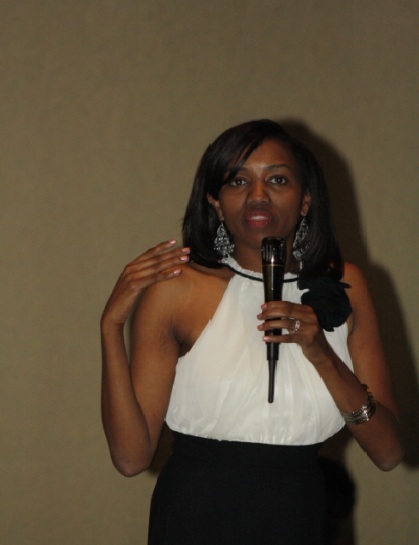 Dallas based attorney Susan Kihika during her campaign kick-off dinner in Dallas on Saturday night. A US based daughter to the late former MP, Dickson Kihika Kimani has officially declared her interest in the Subukia seat in 2012 polls. Ms Susan Kihika, 37, will be returning home next month to concentrate on her efforts to capture the seat currently held by Nelson Ributhi Gaichuhie. Speaking to the jambonewspot.com during her campaign kickoff dinner in Dallas on Saturday, Ms Kihika said that she wants to extend the great legacy of her father. “My father was a servant of the people and this boded well for the constituents that he represented,” Kihika said. “I just feel that it is time I went back home to serve my community just like my father. She however did not name the party she will be using as a vehicle for her aspirations saying that she is still researching them. The former Dallas prosecutor and immigration attorney said that it was unacceptable that the district hospital has no ambulance making it difficult to provide services to area patients. She also lamented the poor road conditions that prevented farmers from being able to sell their produce. Kihika who is also the managing attorney at Kihika Law Firm in Dallas is one of the many Diaspora candidates who are headed back home to contest in various elective posts. Her father, who was veteran Nakuru politician died in 2004. He was the only Member of Parliament in Kenya to have served in three different Constituencies; Nakuru North, Laikipia West and Molo Constituencies.